Drafting Pencil 0.5mm (PG1015). Material: Axis: aluminum knock stainless steel clip: iron last Fri: brass. it will take 3-4 weeks. Suitable for technical drawing,woodwork,or art sketching. Lead holder with 2.0 mm graphite leads. Ideal for illustrations or technical drawing. Handy lead sharpener inside the top knob. Pencil Size: Approx. Hardness: 2B. Lead holder with 2.0 mm graphite leads. 1 x 2.0mm Lead Holder Pen. 1 x 2.0mm Black Lead. Comfortable to hold. Color: Blue / Black. Convenient to carry. Detail Image. MPN：M510171P.43. Made in Japan ! it will take 3-4 weeks. Vintage Pilot, tombow lz, pentel s55, sailor 0.5 Nos mechanical pencil lot. Made in Japan. Shipped with USPS First Class Package. Barrel Color : White. Model Number : P-MA85-CO-W. LOT OF 48 PENCILS.4 BOXES PER BOX WITH 12 PENCILS IN EACH.NEW.2 3/6.LAST ONE FOR SALE.ANY QUESTIONS PLEASE ASK.THANKS FOR LOOKING. 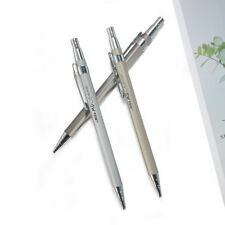 Uni Nano-Dia is the very latest in pencil lead technology. 400 million 'nano-diamonds' per lead improve smoothness and strength and high viscosity oils improve smoothness and darkness. 0.5mm lead, available in a range of grades. Rare vintage Caran d'ache pencil gold plated. Rare caran d'ache gold plated pencil. 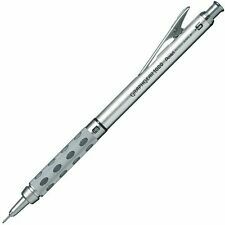 Seltener caran d'ache vergoldeter Stift. There is no pencil lead anymore. Considerare che avrebbe bisogno di manutenzione. Non sono sicuro che funzioni. Non c'è più piombo per la matita. Superior drafting pencil for general and technical writing. Writing Point:0.5mm. Refillable with Lead and eraser. Color: Silver,Black(send at random). Quantity: 2Pcs (Black and White). If you can't accept it, just don't buy. Size：17.5 x 0.8cm. Refills Color: Black lead. Pencil Color: Random Color. Pencil Material: Plastic. Lead Length: 60mm/2.36". 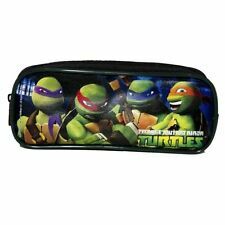 Ideal for school or office use. Side advance automatic pencil with "dial-up" eraser. 0.5mm lead produces crisp, fine lines. all products are original 100% authentic and never been used unless otherwise stated. But it may delay due to Custom / Weather. Hardness: HB. 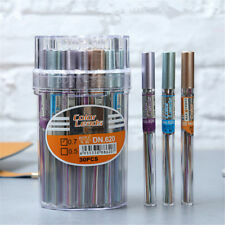 Suitable for all kinds of 2mm pencils and various calligraphy and painting. Material: Lead. 5 boxes Black Lead Refills Tube. We will do our best to help you to resolve your problems. Color: Black. Suitable for technical drawing,woodwork,or art sketching. Lead holder with 2.0 mm graphite leads. Ideal for illustrations or technical drawing. 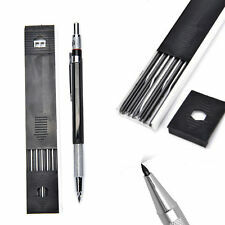 1 x 2.0mm Lead Holder Pencil & 12pcs 2.0mm Black Lead. 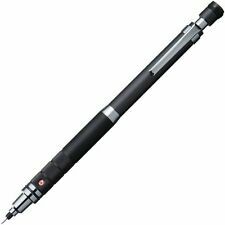 KOH-I-NOOR VERSATIL 5301 BLACK 5.6MM. Color Black, Navy, Orange, Mint, White. Platinum PRO USE 171 Drafting Pencil. ●Sharp pencil for drafting. PRO USE 171. ●Sharp pencil that is hard to break against writing pressure. ●You can choose between writing sensation you can choose / delicate writing comfort and stable writing comfort. Steam Generator For Bath. Pencil Lead Type: 2B. Spindle Motor And Inverter. Pencil Lead Dia: 2mm. Pencil Lead Quanity: 6 Pcs. Pencil Shell Size: 14.5 x 1 x 0.7cm/ 5.7" x 0.4" x 0.3"(L W T). 1 x Box Pencil Leads. With liquid inside the tube, just like real potions. 1Pc x Ballpoint Pen. Color:As the picture shows. Due to the difference between different monitors, the picture may not reflect the actual color of the item. Everyone is satisfied with the quality. But, I like now the most practical use of the TAKEDA personally. Takeda is drafting goods manufacturer in a historic followed nearly 80 years. for CREATIVITY & Drafting Japan NEW. 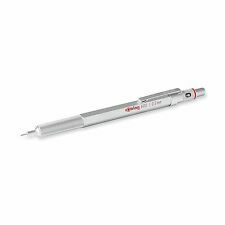 KOH-I-NOOR HARDTMUTH 5340 MAGIC 5.6MM ARTISTS MECHANICAL PENCIL LEADHOLDER. KOH-I-NOOR HARDTMUTH 5340 MAGIC 5.6MM. MPN： M510171P.26. Made in Japan ! Roulette Silver 0.5mm. Body Color：silver. Japanese 100% Authentic! The clip ring has the serial number and Germany engraved on the surface. There are three leads inside the pencil feed tube. Pen is darker in color than in photos. [material] axis: ABS grip: brass, silicon rubber knock part: brass, NBR rubber clip: iron. [Limited Color] Navy shaft. Only high quality products. Write to us. We accept only unopened item. United States. MPNDoes Not Apply. You may also like. 100% AUTHENTIC, NEW. all products are original 100% authentic and never been used unless otherwise stated. But it may delay due to Custom / Weather. Color Black, Navy, Orange, Mint, White, Red. Low center gravity for stable writing. it will take 3-4 weeks. Drafting Pencil 0.9mm Yellow (PG1019). Material: Axis: aluminum knock stainless steel clip: iron last Fri: brass. it will take 3-4 weeks.